Quite often people attribute neck pain to stress and take drugs to mask the symptoms. While this response may relieve some of the pain, it does nothing for the underlying cause of the problem. 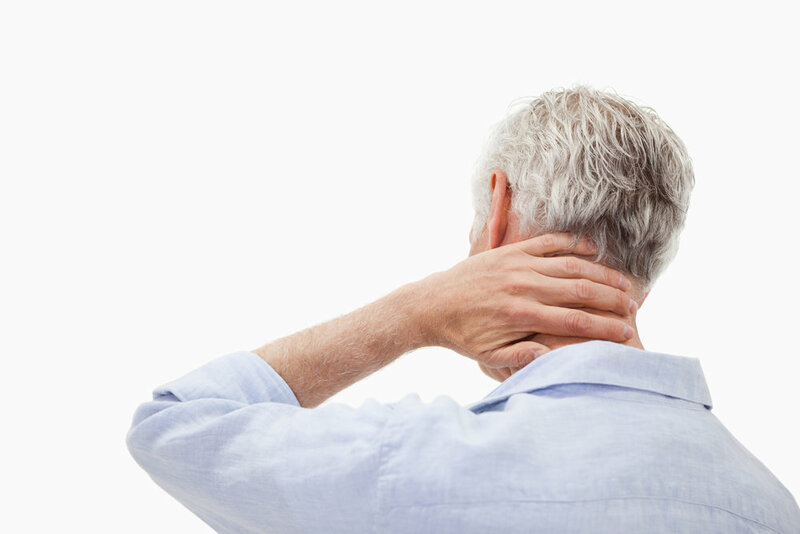 For some people, their neck pain becomes more frequent until it is there all the time. During this time it often becomes more stiff until it is very difficult to move, and every now and again it may lock up. Sound familiar? Some people who have neck pain may be able to recall having a whiplash injury or a scrum ‘incident’, however many people only have vague recollection of when it started, often with no specific incident to cause the problem. Most people can carry on with their activities of daily living for quite some time. Slowly the restriction gets worse and affects their ability to back the car down the driveway, or other movements. It’s often at this stage that they visit a Chiropractor. As a chiropractor we have a functional approach to the spine, therefore it is important to determine how your spine is moving or functioning, how it got to that state and then plan the best way to get it moving again. The more degeneration in your spine the more difficult it is to get your spine moving. To think about it another way, the earlier you address functional problems in your spine the more you are likely to keep a healthy functioning spine, without degeneration. We can’t cure osteoarthritis, but we can slow its progression by keeping your spine moving. Chiropractors perform a thorough examination of the spine, often taking x-rays. In far too many patients we will find some degree of osteoarthritis. This degeneration of the spine is more likely to occur where there has been a functional problem over a period of time. More times than not the level of degeneration indicates that the problem has existed for longer than the patient has been aware of it. In the February Journal of Manipulative and Physiological Therapeutics journal, a study by New Zealand and Canadian researchers suggested spinal manipulation of the neck can relax muscles in the arms and may be useful in relaxation of the whole body. The conclusion was that anything causing tightness in the neck joints also might cause muscle pain in the arms or elsewhere. Chiropractors use manipulation for neck problems and would therefore be the natural choice of health practitioner to improve neck and back function and mobility.